Question:How do I land and release a fish when I am out fishing by myself? Answer: It can be difficult to take a fish off of the hook and release it when you won’t have anyone to help you. Here are some tips for learning how to do it. Whether the fish is large or small, the first thing to do when you’re getting ready to un-hook it is to raise your rod tip high and pull out fly line from the spool on the reel to give yourself enough line to bring the fish to you for the release. You do that by holding the rod handle firmly and bending the rod tip back over your shoulder. You’ll see how that moves the fish through the water and gets if closer and closer to you. If the fish’s head comes out of the water, however, stop, and pull more fly line off of your reel to allow the fish to stay submerged. Avoid giving it any slack while you are doing this or it will probably get away by itself. This is not a good thing, however, because the fish has tired while you were playing him, and he needs your help to revive completely. If the fish is a large fish like a salmon, and you want to keep it for dinner, just net it or pull it up on the bank and quickly dispatch it with a good whack or two with your closed pliers right on the back of its head where the tops of the two gill plates almost connect. If you have brought a landing net that is large enough to hold the fish you can scoop it up, head-first into the net and keep it in the water while you do the release. If you don’t have a net just bring the fish to the edge of the water where you can kneel down and do the release without taking it out of the water. When you have the fish ready for removal of the hook, wet your hands and hold the fish gently with one hand while using your other hand to remove the hook with your hemostats of pliers. Look carefully at where and how the hook went into the fish’s mouth. That way you can see how to move it back out the same way it went in to avoid stressing the fish. The proper release is almost always done by putting the tips of the jaws of the pliers or hemostats around the bend in the hook and pulling it gently backwards out of the fish’s mouth. Trying to remove a fly by pulling back on the hook shank seldom works. If the fish is to be released, and you are fishing from a boat, you can net, remove the hook, and put it back in the water quickly. To release the fish on the bank, hold it by the tail with one hand while your other hand supports its belly in accord with the guidelines for practicing catch and release correctly. (See Catch and Release below) hole the fish with its head pointed into the current while it revives and re-oxygenates itself so that it can swim away on its own. Do Not move the fish back and forth while reviving it as this forces water through gills backwards, which can actually drown it. Avoid squeezing the fish during the time except when you are holding on to its tail. You don’t harm the fish by gripping it there. Be very sure that you do not put your fly rod down in the gravel or sand while all this is going on. Getting sand or gravel in your reel is to be avoided at all costs. If it should happen, be sure to take the spool off and wash it and the reel base in the water to clean them before reeling again. When you are fishing by yourself you can’t just hand your rod to your fishing buddy and go about the business of releasing your fish. 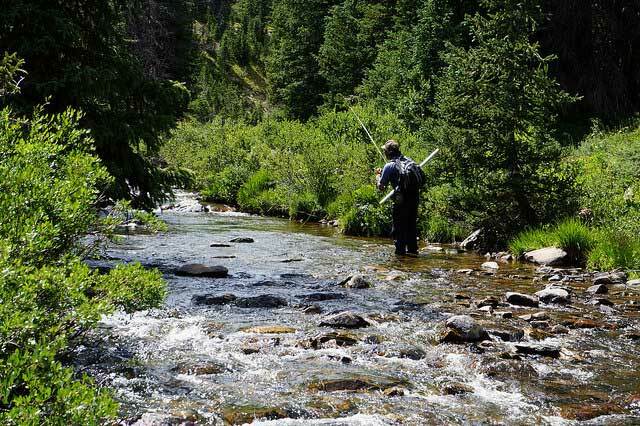 Instead, you should leary to hold your fly rod with the reel tucked safely in your arm-pit while you take care of your fish. As an alternative, you can take off your cap, put it on the beach and put your reel in it while completing the release. All of this takes a little practice, so you might want to do it while fishing with another person who can guide you through the steps at first. 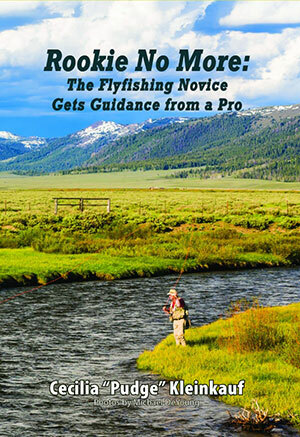 Excerpted with permission from Rookie No More: The Flyfishing Novice Gets Advice from a Pro (Epicenter Press Inc., 2016). All rights reserved.